We have been having light skiffs of snow coming down today. We took our last boat out of the water just yesterday. Sure signs of Winter coming. It's been a wonderful warm weather season. We would like to take this opportunity to thank all of you who joined us this spring, summer and fall. Thank you for helping to make this a rewarding season for us, financially and personally. Next comes a world of white. 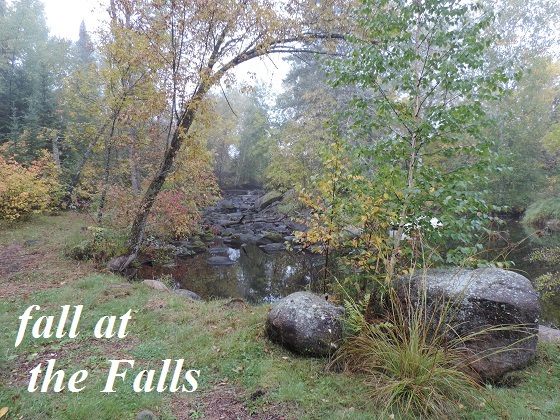 Crisp clean air, invigorating outdoor fun and evenings curled up in front of a wood fire. The other evening Stu and I were out on the lake with friends when we heard and saw a loon just off the opposite shore line. The call of the loon was almost mystical as it echoed across the water. 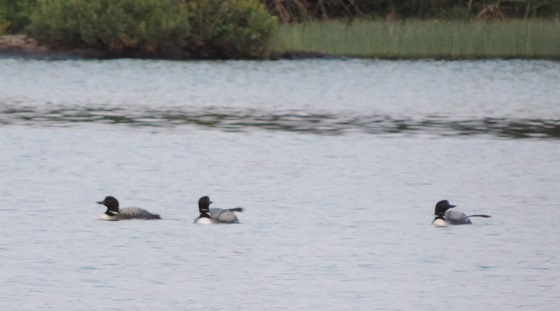 Then we heard another call and saw a second loon land and swim over to the first. 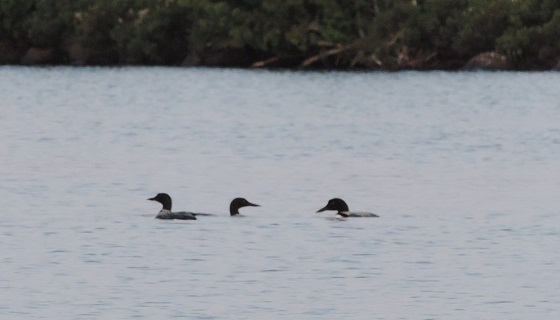 They were busy welcoming each other, when a third loon arrived. Once all together they started swimming in a circle around and around, then their heads would dip under the water in unison; then around and around again. This went on for some time until we heard a fourth loon call and land; and immediately joined in the dance. After a few minutes they added in a tail wagging thing. They did not all do it at one time, so not sure if they took turns or if only some of the four were strut-en their tail feathers! We watched them for maybe a 1/2 hour but when they started to broaden their activity area we felt we should leave them the lake and the night to enjoy in private. Our friends, who live closer to that part of the lake, told us that they head the loons calling until 2am. To be witness to such a magical event of Nature was truly amazing!